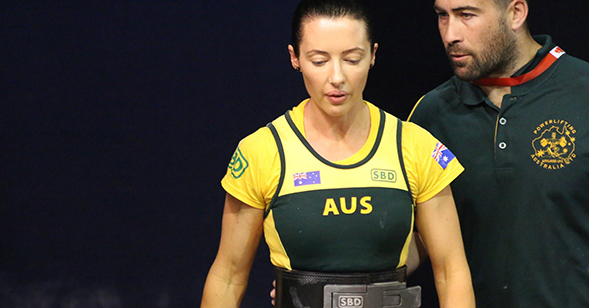 It’s been just over a month since I competed at the IPF World Powerlifting Championships. A month already!!! It will definitely go down as one of the best experiences and trips of my life. Below are the videos of all of my lifts on the day. I came 10th, so was super happy to reach the top 10 in the world in the 52kg class! I made 8/9 lifts, after being red lighted for my first squat attempt. I was disappointed with my squats, but super proud of myself for pulling myself together and getting the rest of my lifts. I definitely gave it my all for my bench and deadlifts. I didn’t have another gram left in either of those two! I’m now getting back in to a regular training routine and am as motivated as ever to improve. Next competition will be the National Championships in October, so all my focus is now set on that! Link to the full flight, can be found here. Congratulations on your superb achievements at the 2017 World Championships. Amazing outcome considering that you were recovering from a bad cold. You are a true champion – really proud of you. Thank you so much Ravi!!! !